Among the Great Lakes, Lake Erie stands the mightiest in the realm of sport fishing. It is in the western basin of the lake where the popularity of this sport really shines. As a result, a plethora of marinas and fishing charters cluster along the shoreline providing sport fishing to millions every year. One of these businesses is Tibbles Fishing Charters. 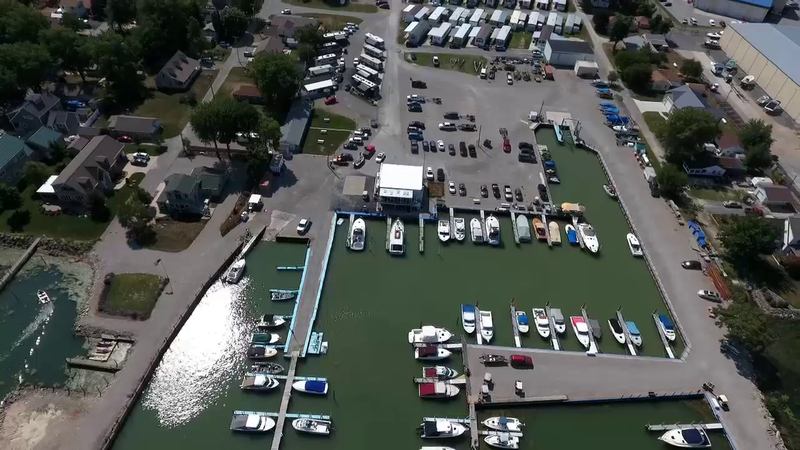 This is a long-time, family owned and operated fishing charter service on Lake Erie near Port Clinton that has provided many with great authentic fishing experiences across the years. Fishermen return summer after summer to go fishing with Tibbels. Because of their friendly and knowledgeable fishing operation, Tibbels' enjoy a healthy repeat business. The fleet consists of four vessels with capacity of up to 19 people and one 6-pack vessel. All are guided by USCG licensed captains with 80 years of combined experience. Except for inclimate weather, fishing trips with Tibbels occur twice daily during the summer. While fishing is their specialty, Tibbels provides a number of other services related to fishing and boating. On site is a marina, RV lot, motel, boat storage, boat launch, and a fishing & boating store. Explore the website or make a call and discover the many things you can do at Tibbels Marina and Fishing Charters.